The error says the connection could not be established due to a certificate validation error. You might be wondering why some urls are working while some not. To understand this you need to know what is SSL and how SSL works. SSL stands for Secure Socket Layer which is a protocol in which the data transfer between a Web Client(e.g. web browser) and a Web Server takes place in an encrypted format. 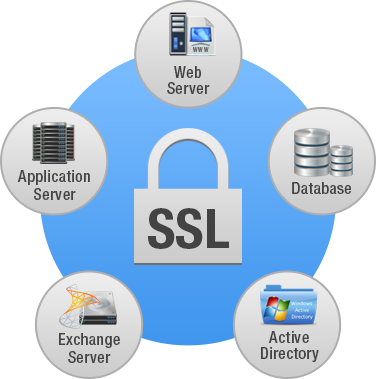 Content encrypted by the server is decrypted by the client using a public-private key pair. Key pairs contains a public key and a private key, content encrypted with one key can be decrypted with the other. All modern browsers includes a set of well known certificates issued by certificate authorities(CA), which makes the encryption-decryption possible for HTTPS sites. Why Java throwing javax.net.ssl.SSLHandshakeException for some SSL sites? As in browser, JRE also contains a trustsore where all trusted CA certificates are stored. This truststore is stored in a file named cacerts located at <JRE_HOME>/lib/security/. You can connect to all HTTPS sites which are having certificates trusted by Java truststore but a SSLHandshakeException is thrown for sites with untrusted certificates(including self signed certificates). Safest option is to add the certificate to Java trust store manually to avoid any security issues. How to add SSL certificate to the Java Truststore? It is a two step process, first download the certificate, then add the certificate to the truststore. First, open the url in your browser(steps may vary depends on the browser), then click on the lock icon on the navigation bar, then click on Certificate Information. Now go to Details tab, there you will see a Copy to File button. Clicking on this will give you a certificate export wizard where you need to select certificate format as DER encoded binary X.509. Give a file name say mycertificate.cer and save the file. Enter the default keystore password 'changeit'(changeme on Mac) for the prompt 'Enter keystore password:'. Then enter 'yes' for the prompt 'Trust this certificate? [no]:' and press enter key. If everything goes well, you will get a message 'Certificate was added to keystore' which confirms your certificate is added to the Java truststore successfylly! That's it, now you learnt how to connect to a SSL secured url from a Java application!